Providing incisive and in-depth reporting, Technical Review Middle East and African Review of Business and Technology cover the key developments and core concerns relating to the power and water sectors, giving an indispensable insight to the Middle East and African business communities. Both publications have established an enviable reputation for the breadth and depth of their editorial content, which contains the latest industry developments, country reports, sector surveys, technical feature articles, exhibition coverage, previews, product launches and interviews with a host of influential business figures. Published 11 times a year, African Review of Business and Technology covers key developments and topics from across the continent, providing Africa's business community with an indispensable insight into the issues that affect them. African Review has an ABC-audited circulation and is distributed at the continent's major industry conferences and exhibitions. African Review has built up a readership of government officials, MDs and CEOs, and with nearly 50 years of publishing experience in the African market, it represents the best return on investment for any campaign, online or in print. With an unrivalled circulation, reputation, readership and editorial content, African Review is the selected platform for advertisers around the world today. 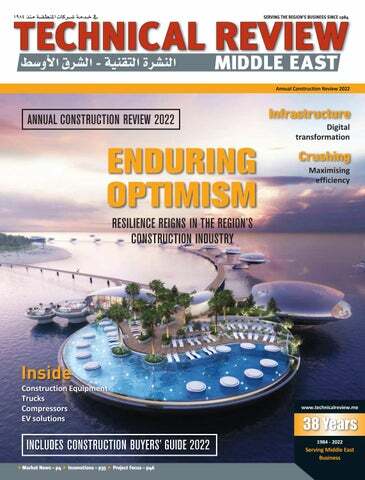 Published eight times a year in English and Arabic since 1984, Technical Review Middle East provides comprehensive coverage of the region's business and industrial markets. Reporting on key sectors such as power and logistics, the magazine has the largest ABC-audited circulation of any magazine covering the industrial markets of the Middle East and North Africa. It has established an enviable reputation for the breadth and depth of its editorial, as demonstrated by the magazine's longevity, and is distributed at all major industry conferences and exhibitions across the region. The magazine's eight annual issues are augmented by a power supplement, a genset suppliers' guide and an electrical equipment and materials buyers' guide. Technical Review Middle East is supported by a fortnightly e-newsletter and a website which is updated daily.